Keep your cool this summer with 14,000 BTUs of power. With this energy-efficient unit, you won t have to worry about wasting loads of energy figuring out your electric bill. You ll also have a choice of 3 cooling and fan speeds along with Auto Restart, which automatically turns the unit back on after a power outage so you don t have to. Enjoy the cool air even more with our 4-way air direction. By adjusting the deflection, air is directed up, down, left or right to move the air where it's needed most. Control the temperature of your room with just a push of a button. Our stylish remote control is easy to use and allows you to cool down from across the room. Estimated cooling area 800-sq. 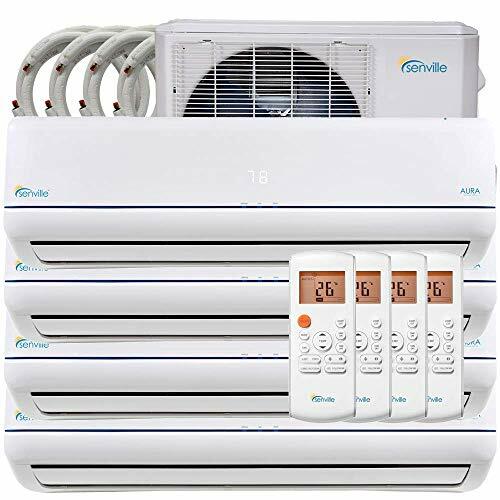 ft.
Innova Inverter Ductless Mini-Split A/C systems are ultra-quite, energy efficient, and compact in size compared to most of the systems offered in the market today. The ease of installation makes it perfect for any home or business. 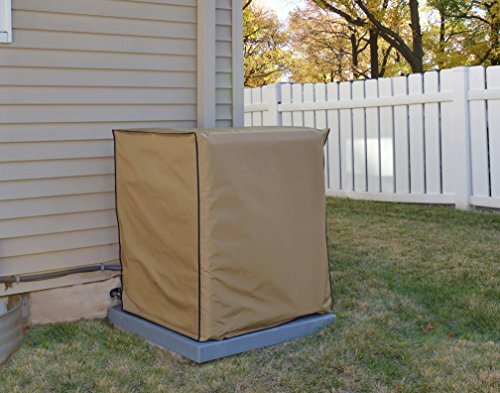 The system offers heating, cooling, dehumidifier, and fan function. (1) Year Limited Parts Warranty Included. Inverter technology allows the system to vary the compressor speed instead of constantly turning off and on, which consumes the most power. This technology helps the system to keep the room in a constant comfortable temperature without wasting power. The package includes: - Indoor Unit and Outdoor Unit (Condenser) - Indoor Unit Hanging Bracket - Remote Control (LED Lite) + Remote Control Holder - 16 Feet Line Set/Control Cable/Drain Hose - (2) Line Set Wraps, Line Set Sleeve, Sleeve Cap, Neoprene - Installation Manual - Remote Control Manual - User Manual - (1) Year Limited Parts Warranty Included *Spare parts and accessories available through Innova (motors, filters, remotes)* Recommended to have HVAC professional for installation. Warranty: Innova 1 year limited parts warranty from the date of purchase. This intelligent on-off technology enables MRCOOL products to automatically enter energy-saving mode when on standby, cut energy consumption from the normal 5W to 1W, which amounts to saving 80%. 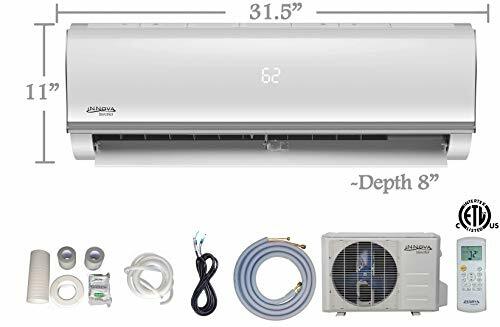 This 36000BTU Quad Zone Ductless Air Conditioner by Senville is one of the most advanced and high-end split units on the market. 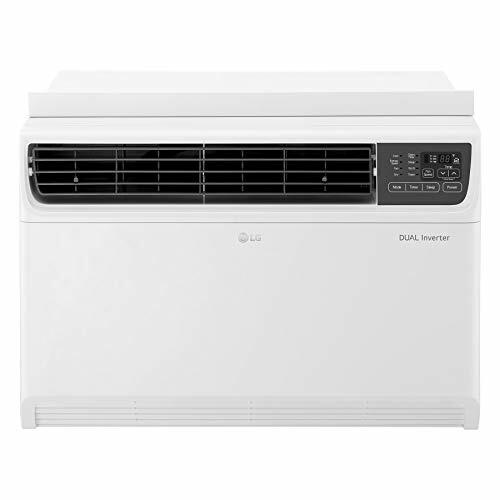 Providing you with a variety of features including, SEER 22.5, 4 x 9000BTU Air Conditioner & Heat Pump, Turbo Mode, Ionizing Air Filter, Dehumidification, Timer Function, Follow Me Function and much more. 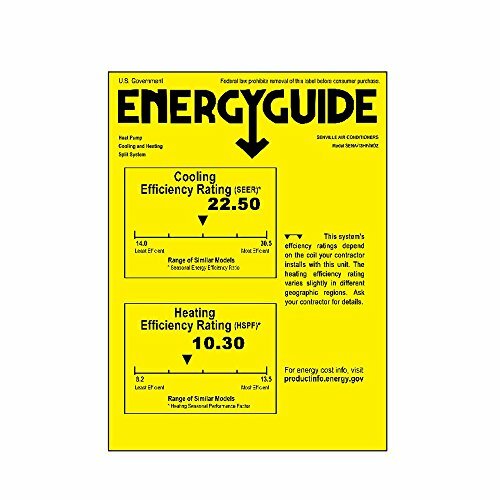 With SEER Ratings as high as 22.5, the Senville Aura surpasses many of the top name brands when it comes to efficiency. Enjoy the benefit of a cool climate controlled room, with a simple and easy to install air conditioner. 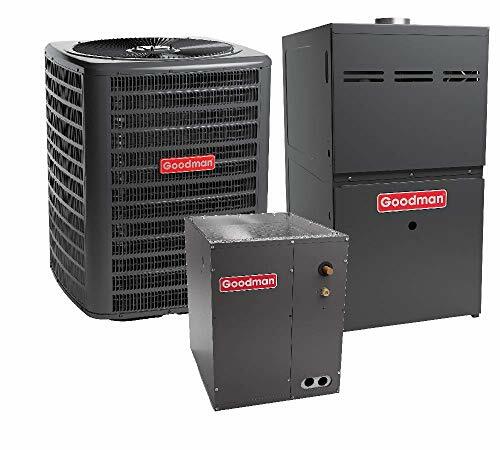 Additionally, the 4 x 9000 BTU Senville Aura offers you one of the quietest split air conditioning systems on the market, with minimal audible noise, ensuring the most comfortable overall experience. Manufacturer's Warranty All Senville models are backed by a comprehensive 7 year warranty designed to protect your purchase. All warranty claims are processed by the North American Headquarters of Senville, ensuring the highest levels of customer support and satisfaction. This 7 year warranty offers coverage on the compressor and a 2 year warranty on other parts. You can rest assured knowing that your purchase will be protected for up to 7 years, and we know that we are providing you with the highest quality product available. 22.5 SEER - With Heat Pump, Turbo Mode, Ionizing Air Filter, Dehumidification, Timer Function, Follow Me Function. 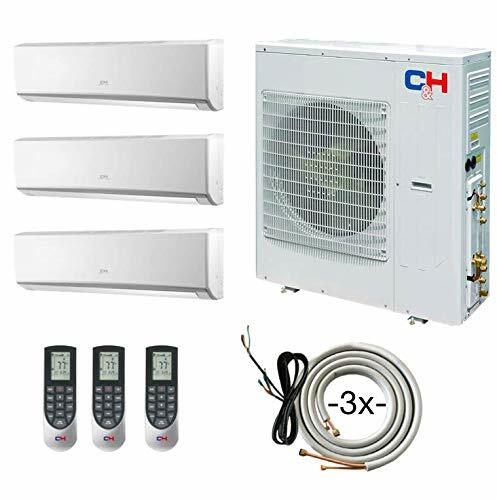 4 x 9000BTU Indoor Units - 1 x 36000BTU Outdoor Unit - 4 x Remote Controle. 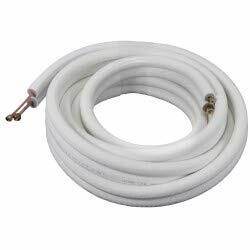 Includes Basic Installation Kit with a 16-Foot Line Set and Additional Accessories. Industry Leading 7 Year Warranty on Compressor / 2 Year Warranty on Parts. Warranty: Manufacturer warranty is 7 years on the compressor and 2 years on all other parts. Technical support is available 5 days a week. Warranty: 2 years parts replacement & 7 years compressor warranty. 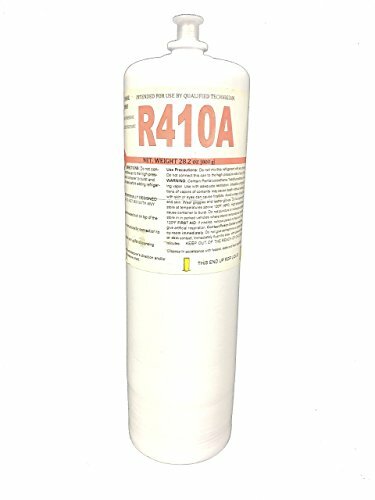 This product is ideal for adding a small amount of R410A refrigerant to HVAC Air Conditioners which includes package and rooftop units, split systems, central air conditioning systems, ductless a/c systems, window units, mini splits, commercial systems and more! It is intended for use by a licensed AC professional. perfect for topping off a split system or ductless mini split air conditioner or to add a small amount of refrigerant to any HVAC unit! Timer Fuction - Five different auto shutoff times of 30 Min,1H,2H,4H and 8H. UV Lamp function - Kills germs, while the charcoal filter captures odors. Adopt the most efficient hepa filter, it removes 99.97% of allergens, smoke particles, dust, pollen, pet dander as small as 0.1 microns and PM 2.5. Please take out the plastic bag of HEPA filter inside the purifier before running it. Smart auto-off timer - Five choices ,as 0.5H,1H,2H,4H,8H. Leave the pollutant room, and come back with fresh air. It offers hepa filter to capture particles, and it's 100% ozone free at this moment. Additional UV-light and Ionizer are aimed at germs in epidemic season, keeping it off if don't need it. It's safe. Filter needs to be replaced every 6-8 months and cleaning with handheld vac will extended it's service life. 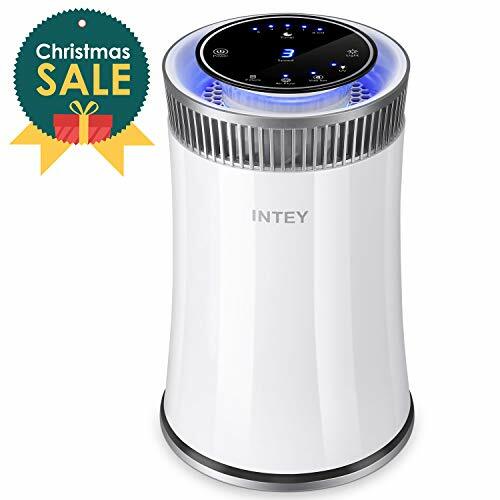 Search for INTEY air purifier filter to find replacement filter (In stock). Warranty: Offers 24 monthes warranty. Seller promise 24h reply to customers messages. 1 Year on Parts - 5 Years on Compressor. Maximum Efficiency: 22.5 SEER - Energy Star Certified. 12000 x 3 + 9000 BTU: 400 - 600 ft per zone (2200 ft total). 1 Year on Parts - 5 Years on Compressor.Maximum Efficiency: 22.5 SEER - Energy Star Certified.Follow Me Technology - Advanced T1C Filtration System.Inverter low ambient technology for -13F operation Temps!.12000 x 3 + 9000 BTU: 400 - 600 ft per zone (2200 ft total). Protects Against Snow, Ice, UV Fading, Mold, Mildew, Rusting, Leaves, Dirt and Debris. Precision Opening to Fit Electrical and Refrigeration Lines with Convenient Hook and Loop Closure. Prolongs the Life of Condesing Unit and Reduces Cabinet Fading. COOLING AT A WHISPER - Powerful cooling functions with a quiet 42dBA indoor unit (53dBA outdoor), which is great for your workplace, bedroom. 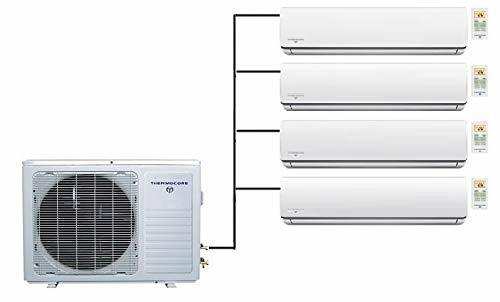 COOL IN A BREEZE - The 10,000 BTU AC system rolls out cool effectively and instantly for up to 450 sq ft spaces. HANDS-FREE CAPABILITY - Control when and what temperature with advanced scheduling and 4 varying modes, set temperature, & more - all at the push of your finger using the remote or phone app! AUTOMATED COOLING - The split AC's schedule function regulates temperature for ideal indoor conditions no matter the weather. NO COSTLY INSTALLATION - Use household tools to easily install the mini split AC without the need for expensive professionals. Year-Round Comfort. 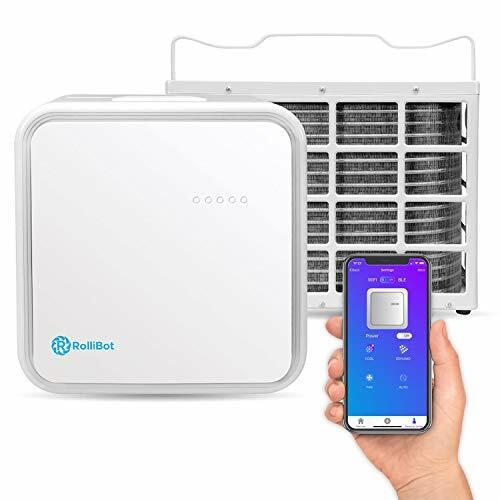 This powerful mini split AC is an air conditioner, heater and dehumidifier all in one. Highly efficient, incredibly quiet, made from the highest quality materials. This 22 SEER dual zone mini split will cover up to 1600 sf. Independent Zone Control. Say goodbye to dirty, leaky ducts. This split AC unit delivers conditioned air directly to each room. No need for noisy fans. The temperature in every room is independently controlled. Serious Money Saver. No ducts means no leaks. Add in the inverter that eliminates high-amp starts & stops and independent zone control and you can save up to 60%. Awesome Warranty. If you don't love it in the first 30 days, we'll buy it back from you, no questions asked! You are protected by a seven year warranty on the compressor, a five year parts warranty, abundant parts availability and experienced technicians should you ever need assistance. High Quality. Our mini split systems are manufactured with the highest quality materials. 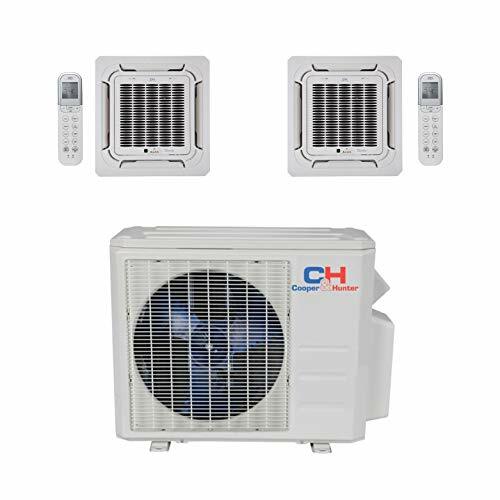 You'll receive the outside compressor, which is already fully charged with refrigerant, two air handlers, and two remotes. Linesets and wiring are not included. 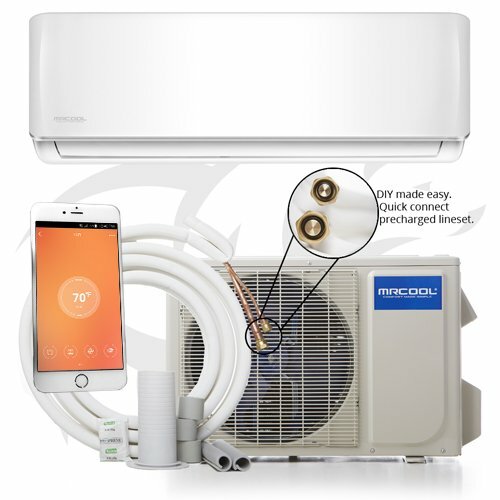 The perfect solution for your heating & cooling needs, this mini split is durable, easy to install, highly efficient and whisper quiet. YOUR PERFECT SOLUTION. This 22 SEER Cooper & Hunter dual zone mini split will efficiently heat, cool and dehumidify up to 1600 sf. The inverter heat pump pulls heat from the air down to temperatures as low as -13F. SAVE UP TO 60%! A mini split inverter does not start and stop, which uses a ton of electricity nor does it allow the room to lose it's conditioned air by shutting off. Instead, it purrs along in the background at minimum power keeping the room consistently at the set temperature. PRO-GRADE QUALITY. Some mini splits are manufactured with poor quality materials, like aluminum refrigerant tubes and off-brand compressors. Cooper & Hunter multi zone mini splits are built with premium quality copper tubing and name-brand compressors. 21 SEER coupled with Gree compressor Inverter technology provides the benefits of low operation temps down to 5F, rapid cooling / heating as well as maximum energy efficiency. 3 x 16ft Linesets Included. 5 Year Part - 7 Year Compressor Warranty Package. This 21 SEER tri zone mini split system will efficiently heat, cool and dehumidify up to 2000 sf. You are protected by 7 year warranty on the compressor and a 5 warranty on everything else.